21 minutes but worth it. During the week of Thanksgiving hundreds of people from all walks of life came to New Orleans and volunteered with the Common Ground Collective to help those in need in what ever way they could. I worked on this video overview of the work of the Common Ground Collective along with several other volunteers. WHO IS COMMON GROUND: Common Ground Collective is a local, community-run organization offering assistance, mutual aid and support to New Orleans communities that have been historically neglected and underserved. Activists, some say Anarchists, occupied this church when the parishioners were locked out by the church and held the space long enough to draw major media attention to the situation. The church reamains opperational. I'm very proud to have played my part in this drama. There is another film currently being produced about this "occupation"
but Shake the Devil Off seems to have done a really good job of putting all into historical context. 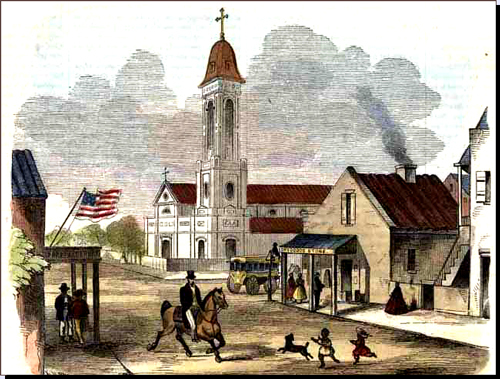 St. Augustine Church, built by free black people with slave labour in 1841, was the first place of worship where slaves, free people of color and whites sat side by side in prayer. It is a highly significant symbol for the African-American community in America. This starts off with a bike ride through the French Quarter. Then NOmadjik Media Bus travels from Frenchmen st.
Time lapse photos of 2 afternoons worth of heating, filtering and pumping about a 100 gallons of waste veggie oil. I'm fueling up to head into the Alabama Tornado Zone in a couple days and then on to the March on Blair Mountain. Thanks to the Frenchmen St Deli & Mardi Gras Zone for their lovely fuel. March 21st meeting of Faubourg Marigny Improvement Association. Issues presented by Mardi Gras Zone, The Lost Love Lounge Plan B, and the Iron Rail Book Collective. On February 28th the Gulf Coast Ecosystem Restoration Task Force held public meeting for about 12 hours. The initial hours were all about government presentations about various aspects of the ecosystem and constant reminders that this process was and will be a bottom up process with the people who are affected and the people who are doing the work steering the cart of recovery. Most of the people speaking here are representing one of the multitude of non profit organizations that are and have been working on gulf coast restoration for years. part 2 includes the fda / epa stance on the the safety of eating gulf seafood. Official Proceeding of the Gulf Coast Ecosystem Restoration Task Force. This is from the 2nd meeting of the Presidential executive order created Gulf Coast Ecosystem Restoration Task Force. This will be distributed very raw CSpan style. After Mardi Gras I'll have time to put it in context with a short wrap up video. Dec 28th a fire burning in a run down warehouse in New Orlean's 9th ward got out of hand, killing 8 eight people and 2 dogs. The Emergency Committee to Stop the Gulf Oil Disaster is calling for a day of 100 actions worldwide to commemorate the 100th day of the Oil Volcano in the Gulf of Mexico. Read more about 100 Days of Outrage! The ride has been postponed indefinitely. For more info check the website. Former Black Panther and co-founder of Common Ground Collective in post Katrina New Orleans Malik Rahim announces his campaign to ride a bike from Houma LA to Washington DC in support of complete environmental justice for our nations wetlands. The wetlands protect our shores from hurricanes and filter the waters of both the Gulf of Mexico and that of the Mississippi River.